The term "unicorn bike" came about to describe a marketing campaign for a North American bike-share service, likely Chicago in 2013. It was one bike that had a different color than the rest which made it stand out from the crowd and therefore drew attention to it. 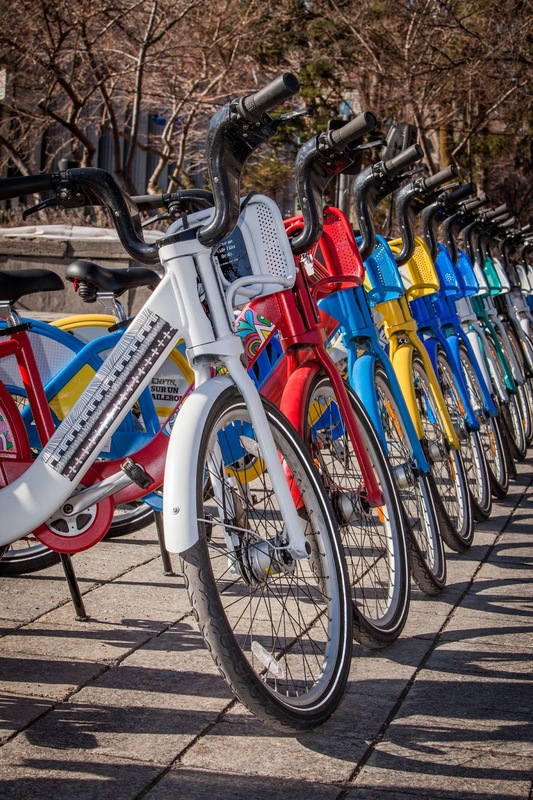 Unicorn bikes have been replicated in other services and makes a great marketing tool to generate interest in the system or for events such as D.C.'s Cherry Blossom Festival as shown in the tweet below. With Montreal's season launch for 2015, they debuted a family of unicorn bikes. 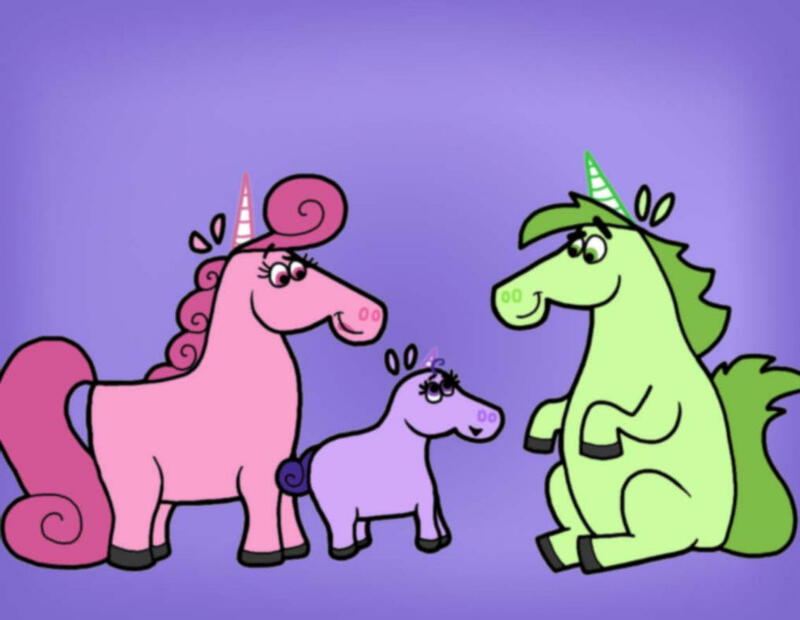 As unicorns aren't real, (or are they? ), there isn't a proper term for a grouping of them like a gaggle of geese. I know this because I checked Wikipedia which knows all and is mostly kinda right some of the time. We'll call a grouping of unicorn bikes a "guffaw". You'll see what I mean in the photo below -- so much color, so much smiling and laughter. Bixi had about 30 specially designed bikes which were a variety of solid colors with designs on the downtube, rack, and mudguard. 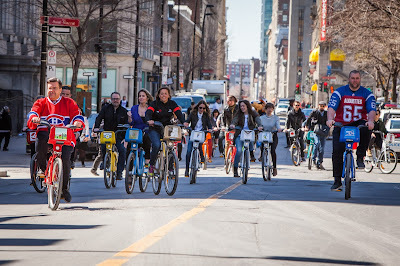 The bikes are eye-catching and will surely turn heads as folks wonder, "Is that a Bixi?" and then realize the bike's shape is familiar, so it must be. The "Bike In Bloom" that we use in D.C. during Cherry Blossom season has been very popular with the public with its associated contest which encourages customers to tweet a photo of the bike. A few of the lucky tweeters win prizes, including annual memberships and gifts donated by local businesses. Does your city have a unicorn bike? Share it with us!